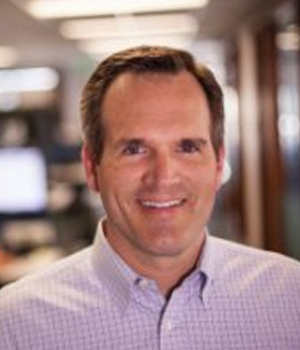 By Mark Mader, President & CEO, Smartsheet Inc.
Mark Mader, President & CEO, Smartsheet Inc. In the first article of this series, I posited that a meaningful strategy for accomplishing collaborative work in the cloud can only be achieved by thinking more holistically than has traditionally been the case. The reality is that work collaboration that drives competitive advantage is a multi-faceted endeavor. It requires the adoption of multiple best-of-breed solutions across five categories of collaboration - Create, Store & Sync, Communicate, Reference, and the rapidly emerging category of Manage. Investing in each creates a composite that unlocks unprecedented value - a “new possible” where previously unimaginable levels of collaboration, automation, and insight are achieved. Simply put, when a new possible becomes reality, it fundamentally redefines what can be achieved and who can achieve it. Remember when video content and editing was exclusively done by pros? Today, tens of millions of producers exist, using little more than their phones and readily available software. Game, changed. I contend that we’re now at a point when that kind of breakthrough exists for collaborative work in a way that it never could in the pre-cloud world. This new possible for collaborative work has become the new reality, by graduating from merely producing, storing, and talking about work - to actively managing it. When management is coupled with conversation and content, it improves accountability, accuracy, and speed, and yields unprecedented visibility into the work as it’s being done, and the value that can be derived from it. Collaborative software that enables enterprise teams to manage their work in a self-directed, no-code manner is doing for business operations and productivity what the iPhone did for video production. Information workers rejoice! 2. AI technologies can improve the working lives of Southeast Asians. AI is essential to most forms of automation, from machine learning to robotics. And automated equipment and computer systems can be used to perform many of the activities that human workers do today, including repetitive and physically stressful tasks. That would free humans to concentrate on work requiring creativity and thought. Here are the five core categories that, when fully and effectively deployed, enable organizations to fully realize their potential to undertake collaborative work in the cloud. Note that the walls between each are permeable - although an application’s primary purpose exists in but one category, that does not preclude it from having relevance in one or more of the others. Applications that aid users in the creation of content or digital assets, often shared, sometimes co-authored. (Think: Google Docs, Office 365, Adobe Creative Cloud, and others)With more than a billion people having used such software to document, plan, or design, the capability to create digital content is the most immediately understood of the five categories. A core tenet of this category is the freedom it provides its users. These applications enable nearly limitless potential to arrange, format, capture, and produce. With that freedom, however, comes somewhat of a lawless territory. The absence of “collaboration guardrails” can lead to inconsistency in how information is stored, uncertainty by collaborators of how they should complete work, and a lack of business process enforcement -- which places the burden of information and process management squarely on the shoulders of information owners and collaborators. The cost, frustration, and latency that results from relying solely on human oversight has been well documented, and has reached new heights in an era where more “cooks in the kitchen” through sharing is creating more challenges than ever before. Applications that enable users to organize, access, secure, and share files. (Think: Box, OneDrive, Dropbox, and others)Content, once created, needs to be stored and synchronized. Performance, regulation, and risk mitigation are all contributing factors to why the storage and management of digital assets is a category that is alive and well. The pre-cloud analog was your c:\drive or your corporate fileshare. The latter was collaborative in the sense that you could provide access to multiple people. The new generation platforms greatly improve the accessibility, permission management, and, in some cases, auditability of digital assets. These platforms aren’t known for their role in creating digital content, but rather housing it, securing it, and regulating its distribution. Applications that facilitate text, voice, and video from one person or group to another, often feed-based, and searchable. (Think: Slack, Microsoft Teams, Skype for Business, Google Hangouts, and others)It’s remarkable to think how far things have come since the days when nearly all digital communications were conducted using email. In recent years, video conferencing, threaded messaging, group messaging, team spaces, and team channels, in which people share and comment on content, experiences and best practices, have leapt onto the scene and continue to produce new market entrants. Why is communication so attractive to innovators looking to develop software? Simple. Because communication is fundamental to information workers and the ways in which they want to collaborate with others. To some degree, one hundred percent of all people MUST communicate. Not optional. As such, the temptation of a large total addressable market remains alluring to technology innovators. Communication solutions principally solve for conveying, and in many cases, storing information. They are optimized for notification and managing the continuous flow of sentiment, ideas, decisions, and targeted status. They, like solutions in the Create category, have virtually no guard rails for content quality or consistency, making it difficult to delineate valuable signal from a sea of noise when looking at communications en masse. As one tech CEO recently stated, communication solutions are like effective radios, but are not ideal at providing GPS information that can help you determine where you are or where you need to go next. Applications that create structured websites that people reference for knowledge, instruction, and navigation. (Think: SharePoint, Confluence, Google Sites, and others)While I include Reference as one of the five categories, it’s included mainly because of its close association with collaboration over the years. With respect to my categorization, I’d say it’s very much on the bubble because while the median enterprise employee might regularly access information from such a tool, far fewer contribute, and even fewer still (think less than 1%) actually create new assets on these platforms (without IT involvement) to accomplish the work for which they’re accountable. Applications that enable visibility, action, status, and automation for collaborative projects or processes.For years, actually decades, people - and as a result, most businesses (including major enterprises) - have managed important work using office docs like Excel. And those same people have communicated about that work by sending it around, as attachments, in email. In recent years, the volume and velocity at which these office docs and their associated communications have been created has reached a dizzying - many would say unsustainable - pace. For those of us with a front row seat to the new possible of collaborative work in the cloud, it is amazing to realize that - to a great extent - the old, manual, office doc way of organizing and getting work done has persisted, despite a recognition that the approach is fraught with risk in today’s high-volume, high-velocity world. Clearly, we believe there is a better way. The Manage element of collaborating on work in the cloud is more than a forklift upgrade of something you used to do using pre-cloud software. It’s fundamentally new and it is transformative. In my next post, I will take a deeper look at the core tenets that bind this next-gen collaborative work management framework together - Track, Report, Scale - and will provide my thoughts on the fourth element - the holy grail long sought by information workers, IT leaders, and line-of-business owners alike - no-code Automation. In the meantime, I welcome your thoughts on this subject and encourage you to comment as appropriate.